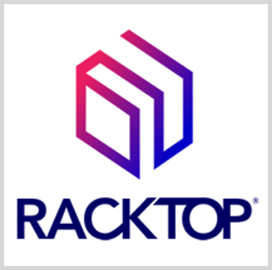 RackTop Systems hired information technology industry veterans Graham Moore, Michael Beegen and Brian Santrock to respectively serve as vice president of federal sales, director of federal systems engineering and manager of western U.S. federal accounts at the Fulton, Md.-based company. Moore, most recently a federal sales director at cloud and data management services firm Datrium, will be responsible for growing federal customer base in his new role, RackTop said Wednesday. He previously served as Pure Storage’s district manager for federal operations and held sales positions at NetApp, Symantec and Veritas Technologies, where he supported programs that cater to Department of Defense customers. In his new capacity, Beegen will manage the deployment and maintenance of RackTop's federal government-focused offerings. He previously held similar roles at Datrium, Pure Storage and NetApp. Santrock, formerly a federal account manager for Rubrik, will oversee public sector projects of RackTop in the western U.S. region. He previously served in sales and managerial positions at Pure Storage, Dell, HPE, McBride and Associates and Integrity Networking Systems. RackTop partnered with Carahsoft to offer the former’s data management and orchestration products to public sector customers via NASA’s Solutions for Enterprise-Wide Procurement Contract and the General Services Administration Schedule.